Another month in the books! With daylight savings starting again soon, the market is starting to awaken from its winter slumber. 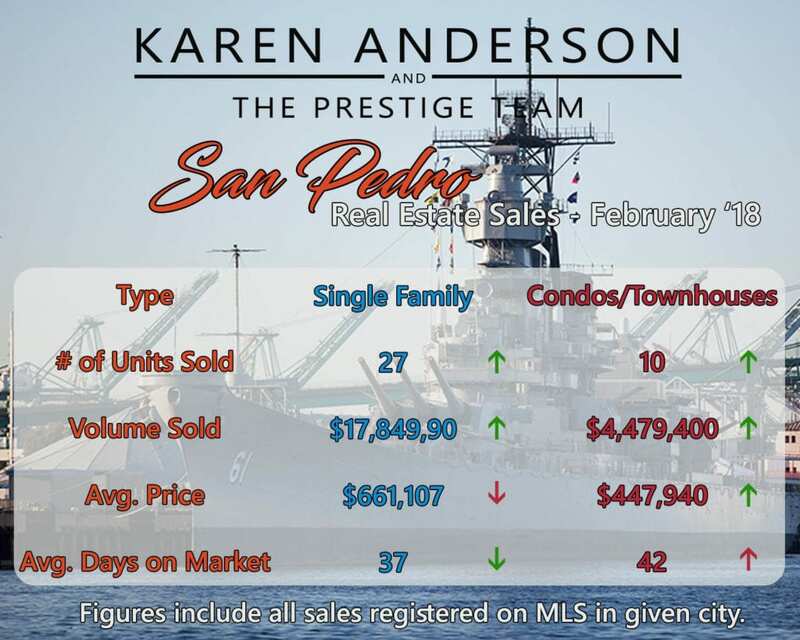 San Pedro bounced back nicely after a very slow January where only 20 units sold. 37 units sold in February, nearly doubling the January sales. Single family residences (SFR) experienced green arrows in all areas except for average price, which fell considerably from $779,909 in January to $661,107 in February. This was partially due to several small 2 bedroom homes that were on the market. Average days on market went down to just 37 days, a big improvement from January which averaged 55 days on the market. Condos/Townhouse sales increased by only 1 unit, but average price jumped from $430,889 in January to $447,940 for February! A few units that were on the market for a long time increased average days on market from 19 to 42 days for February. However, we expect that number to come down closer to 30 as we get into spring. March is already shaping up to be a much busier month, so if you’re on the fence about jumping in on the action, we would encourage you to make a decision sooner rather than later!